The schedule of a flight attendant (called roster), it’s a subject constantly changing because it’s different from a month to another and this fact brings joy to any cabin crew. The moment you receive the email with the roster for the next month, your heart stars beating faster than normal and all that you want is to have a look on destinations that you already have in mind because in the depths of your soul this is the reason for choosing this job: to travel. 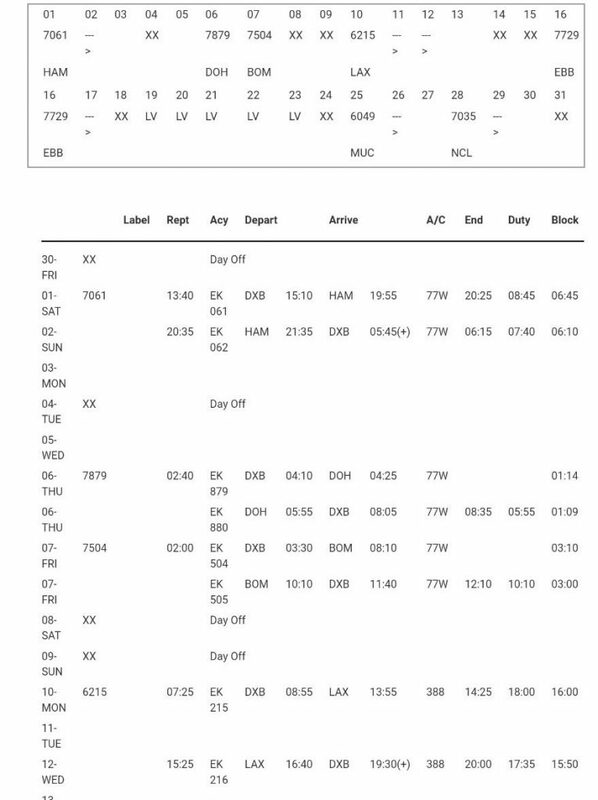 The e-mail opens, and at first view I must admit that it is confusing and interpretable in terms of flights schedule and the number of blocked hours (representing the total number of hours that you’ll be away from home, but you will be paid only for the hours you fly). The most important is the destination. Regardin this aspect, Emirates divides the flight attendants into a number of groups, and each month one of them has priority in choosing their favorite destinations. To be more clear, once at 3-4 Monday is sure that the destinations you wanted will be priority to those chosen by the rest of the crew. A roster is sent to your email address at the end of each month for the following month and any other changes can be checked both by email and by a special application for the phone which can be used only by employees of the company. Theoretically, every month, a flight attendant can fly up to 120 hours but practically, about 100 hours and I am saying that because you just feel very tired with only 12 hours off (minum rest) between flights. Your body feels this fatigue and always needs time to recover in order to function at it’s full capacity. Each hour of the flight is paid with 54 aed (about 12 euros) and I have to say that payment starts once with the flight and not at the time you show for the flight or check in. Last year, Emirates decided to remunerate all flight attendants for delays, so that today, after the first hour of delay, the flight is considered to be started and payed for this reason. This includes both delays in the air and on ground, regardless of their nature, and personally I feel that such a measure was necessary if we think at all incidents that are forcing planes to postpone taking off due to technical problems or caused by weather phenomena. None of the flights it’s similar with the previous or the following one, and that’s the reason why this job is a delight, a continuously change, an escape from everyday life. 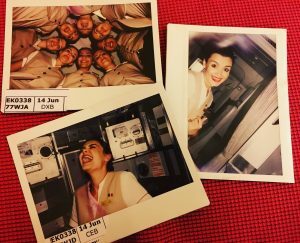 The crew is always different, and that’s because there are 25,000 cabin crew, which means that teamwork will always be the same but with new people everyday. However, there is a possibility to change certain flights with other colleagues, to ask for the same flight that your friend already has, or simply apply together on the next roster demand. I know that the chances of success are not always in your favour, but as long as there is a desire, there is hope also. 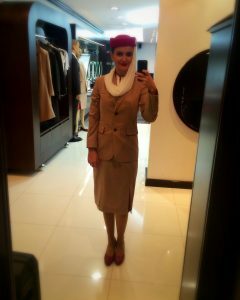 With this thoughts recorded in our informative journal, I hope with all my heart that I have provided useful information, and moreover my sincere opinion as former cabin crew who has embraced this job and I am absolutely thrilled by the fact that more and more of you want to change your life and future.